What better way to blow away the winter blues than with a getaway in Cornwall? Whether that’s by the stunning Cornish coast or tucked away in the beautiful countryside, we’ve hand-picked a selection of stays you’re sure to love. Through the winter, we all need something to look forward to, and a holiday is the ultimate respite from the grey working days. Forever Cornwall is offering 15% off a winter escape to the north Cornish coast, giving you a great excuse to get away before summer. Port Gaverne is the perfect winter destination, with dramatic cliff paths that are ideal for storm watching, cobbled streets nearby that are great for exploring on a crisp day and a choice of cosy pubs that are the perfect spot to sit fireside with a glass of wine. With ten dog-friendly properties in this picturesque north Cornwall coastal hamlet, Forever Cornwall are offering winter breaks to remember! Between now and the end of Easter (weeks ending on or before 27th April), Forever Cornwall are offering 15% off all weeks at any of their Port Gaverne properties. There’s plenty to choose from; nestle down in a cosy cottage for two, enjoy a glass of wine in the warmth of a woodburner or wake up to stunning sea views in an elegant apartment big enough to sleep eight. All ten properties are dog friendly, have private parking and are just a moment’s walk from the sheltered cove of Port Gaverne and the nearby pubs and restaurants. What’s not to love? Port Gaverne sits right next to (and away from the hustle and bustle of) Port Isaac, of Doc Martin and Poldark fame. However, this little hamlet has a charm all of its own. Here, you’ll find an award-winning pub, direct access to the coastal footpath, and a beach that’s totally dog-friendly all year round. 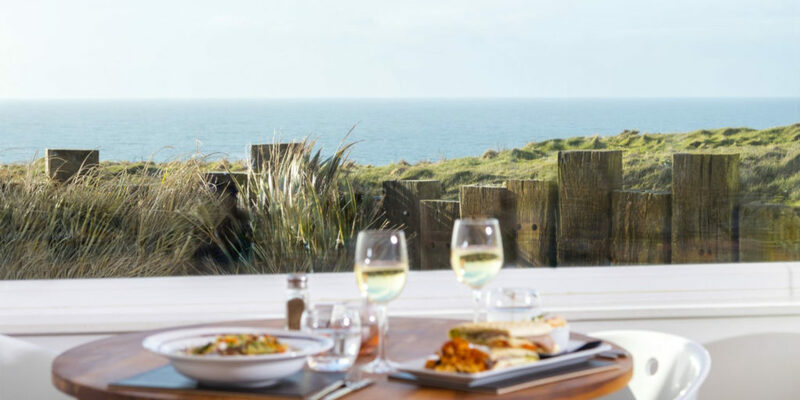 Stroll up the road to find the impressive Restaurant Nathan Outlaw plus many other local restaurants serving pizza, ‘pub grub’ and, of course, beautifully fresh seafood. Port Gaverne and its surrounding area has all you need for a coastal Cornish break. Discover this hidden part of Cornwall’s coast before others. With the final season of Doc Martin being filmed just five minutes away, and the Fisherman’s Friends movie (released in March) set in the area, this part of Cornwall is sure to draw attention to itself this summer! Visit Forever Cornwall’s website to see all Port Gaverne properties or give them a call to find out more. Winter is one of the best times to visit Cornwall. The roads, towns and beaches are quieter and the ever-changing weather makes for some very photogenic scenes calling out to be captured. Cornwall is much more than a county – it’s a lifestyle, a feeling, an experience, and Cornish Traditional Cottages are incredibly proud to say it’s their home. At Cornish Traditional Cottages, the team not only know the county inside out, but most importantly share a common passion for everything it has to offer. From the dramatic coastline to picturesque fishing villages, rolling hills to surfing beaches, they have explored every last inch. Whether you’re planning on taking a walk along the South West Coast Path and ending up in a coastal pub to warm up in front of a roaring fire, or wanting to learn a little more about Cornwall’s heritage in one of the many museums and attractions – Cornish Traditional Cottages can help you plan your adventure with their tried and tested recommendations. Call the team on 01208 895354 to discuss your requirements and they’ll help you find the adventure and holiday home you are looking for or visit their website for more information. What better place to catch the first warming rays of spring sunshine than by the sea? At Sands Resort Hotel & Spa, enjoy long walks along the coast, sip a hot drink on the Atlantic Terrace and admire stunning views of the ocean. Spend two nights in a sea facing comfort suite, experience the good life by the sea and return home feeling wonderfully relaxed. Currently you are able to book two nights from just £94 per adult, whilst taking advantage of the two-night winter break offer. This includes: two nights’ accommodation, complimentary upgrade to a sea facing comfort suite, a hearty hot and cold buffet breakfast, complimentary £20 extras voucher and complimentary late 12pm check-out. What’s more, they’re also offering 10% off pre-booked spa treatments – the perfect way to unwind during your stay. Don’t think about it for too long as this amazing offer is only valid between 24th February and 30th March. Check out the Sands Resort Hotel website for more details. Enjoy a cosy winter break and discover one of RH Richardson’s luxury hotels or lodges in Cornwall. Their current offer, available at the following stays, includes coffee and speciality biscuits on arrival, a three-course dinner and a full English and continental breakfast from just £49.50. Escape for a short break to Falmouth at The Falmouth Hotel. Take in the ever-changing skies, wrap up warm and take a nice long walk across the beach to the historic castle on the hill. Unwind with a good book beside the fire, relax at the spa or just sit and enjoy the views as you watch the world go by. The Falmouth Hotel is a perfect winter break destination. 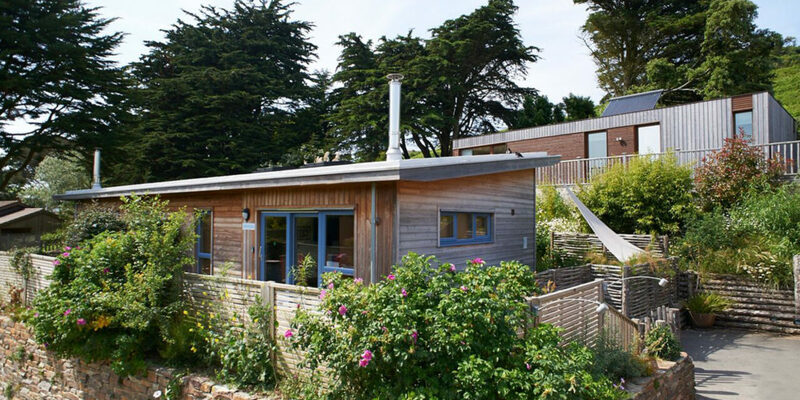 Wake up in the brand new self-catering suites at The Falmouth Lodges to your own private view of Falmouth Bay, with Pendennis Castle perched on the headland. Listen to the sea lapping the shore of Castle Beach opposite, and breathe in the wonderful sea air. 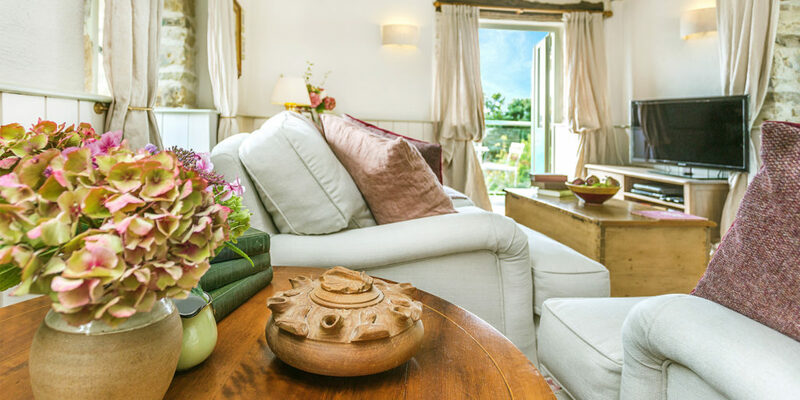 Enjoy it all in complete luxury with a stay at the Falmouth Lodges. 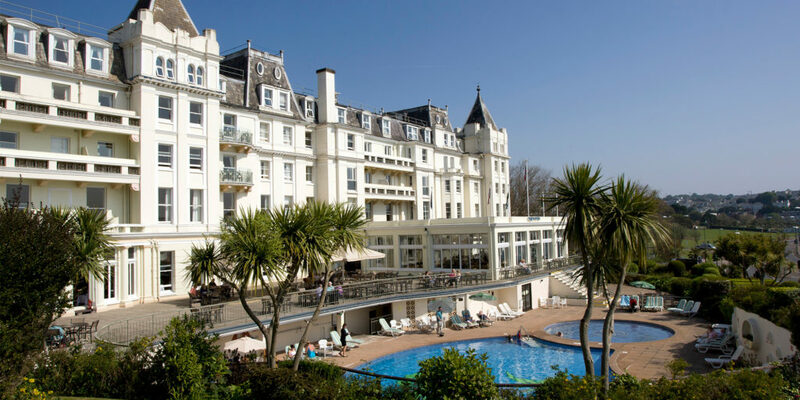 The Grand Hotel is the perfect winter getaway, where sparkling frosts and glistening winter sun will wait to greet you. Enjoy spectacular views, cosy up next to the fire with a toasty hot chocolate or a hot bowl of homemade soup. Whatever the weather, the English Riviera is the perfect destination this winter. Why not relax and unwind at The Royal Beacon Hotel in Exmouth, a nature and bird lovers’ paradise situated at the gateway to the UNESCO World Heritage Site on the Jurassic Coast. Enjoy wintry evening strolls across the beach with views out to the estuary. Afterwards, head back and warm up beside the fire whilst enjoying the cosy ambience and freshly cooked winter menus. The Abbey Sands Hotel is the perfect base for your winter break. Avoid the summer crowds and enjoy the many attractions Torquay has to offer from countryside to coast. After a day spent exploring, kick back and relax in comfort, enjoy a meal from their warming winter menu, then settle down and watch the fire crackle. To book, call 0800 005 2244 or visit the RH Richardson Hotels’ website. Why not explore Cornwall in winter with a stay at The Park at Mawgan Porth? You’ll be treated to a free breakfast every morning of your stay, plus a dinner* for one evening in the newly refurbished restaurant – The Kitchen By The Beach. There’s so much to see and do, from walking parts of the stunning South West Coast Path, visiting castles, or sightseeing some of the many iconic attractions such as the Lost Gardens of Heligan, Minack Theatre and The Eden Project. For more information or to book, call 01637 860 322 or visit The Park website. Use the code DBB19 when booking. This offer is valid for stays until 30th March 2019. T&Cs apply, please visit the website. Why not cosy up by a fire this winter at Court Farm Holidays? Homes that feature a log burner come with a free, unlimited log supply. Plus, they’re offering seasonal discounts of up to 20% off holidays, as well as two-night stays from just £200 – available 1st February to 30th March 2019. Court Farm Holidays specialise in fully equipped self-catering accommodation, situated in tranquil, rural locations just two miles from Bude’s beaches and attractions. Still part of a 500 acre farming enterprise, it’s now their business to make it your Cornish ‘home from home’. Open all year, Court Farm offer a selection of fully equipped self-catering accommodation. 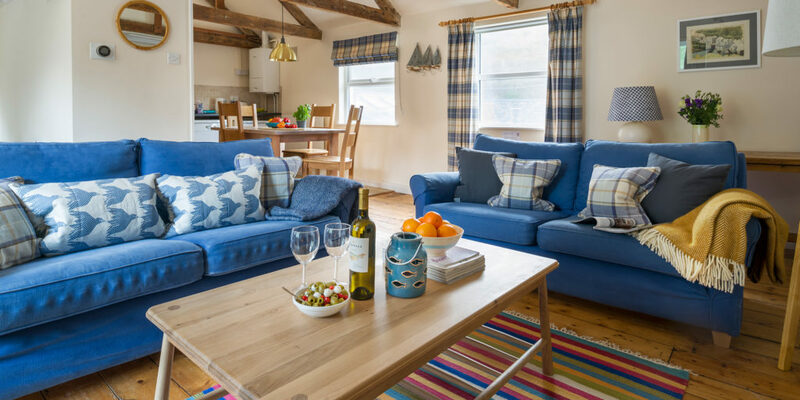 From a snug retreat for two to a choice of farmhouses for 12 or 17, pick from a selection of cosy traditional Cornish cottages, converted courtyard barns and contemporary-styled modern country homes. Their range of onsite facilities include an indoor heated swimming pool, hot tubs, games room, play area, animal feeding, catering service and spa treatments. What’s more, pets are welcome at selected properties. Pubs are within walking distance and the spectacular north Cornish coastline and countryside is nearby, ready to explore, so there’s definitely something for everyone. Guests choosing to stay at the Northcott rural retreats enjoy direct access from the private farm lane to the stunning but challenging South West Coast Path, while Northcott Mouth beach is but a leisurely 15 minute stroll away. Court Farm Holidays pride themselves on extending a warm and friendly welcome “To us, our guests are friends and extended family”. At Court Farm they love having families to stay. Choose cots, bed guards, booster seats, highchairs and more at no extra cost. Simply let them know what you need before you arrive. For more information or to book, visit the Court Farm Holidays website.